I have to say it ~ these are very a-peeling. It would be tree-sonous if you didn’t find them a-peeling. I am glad I spoke out. Each spoke strengthens the round of comments. 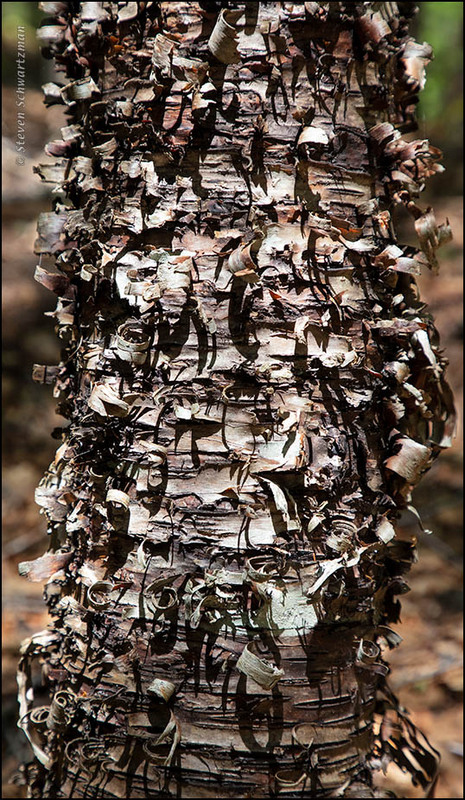 Like New Brunswick, NY is leafless most of the year, and I noticed a lot of homeowners are planting ornamental trees with bark like this – river birch, paperbark, etc. to add a bit of interest to their yard in cold weather. That second shot kind of makes me want to find a stick and give that tree a good scratch. And you’d only be scratching the surface, given how many peeling tree trunks there are in that region. Birches don’t do well here, as it is too warm. I imagine it will be one of those species that shifts further north or else fades away. Or, peels off. If what you propose is correct, then Canada will become a nation with greater numbers of swingers of birches. Before them over their heads to dry in the sun.? The older I get, the more I enjoy Robert Frost. No, I didn’t see any like that. Too bad. Yes, peeling makes it appealing. The first photo reminds me of a scroll, like the Torah. If we unrolled it, I wonder what we’d read? As for the second, all those splits and curls make me wonder if anyone’s ever told a shaggy tree story. The first seems to be paper birch. The second seems to be river birch. There are maples and cherries that peel like the paper birch. It makes me wonder what the advantage of that sort of bark is. Three different specie can’t be wrong. Thanks for your suggestions about the kinds of birches. I was way out of my element up there and have had to rely on people to identify species for me. 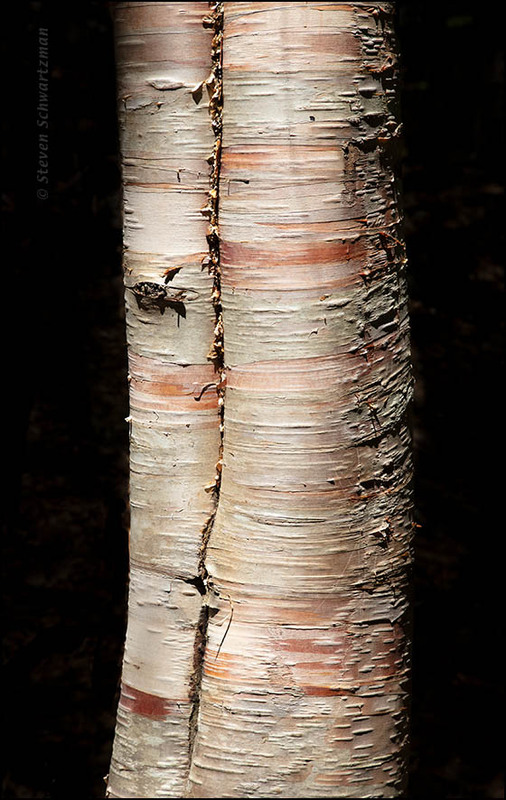 The head of a national monument in Maine identified a paper birch for me in a photo I took up there. A given species can still have lots of individual variations. Well, I am certainly no expert. I only know of the few river birches that I have seen in landscapes here. I have only seen paper birches in nurseries. (I think they die shortly after leaving the nurseries because I have never seen a live one in the landscape.) I am more experienced with the paper bark maple and the paper bark cherry; and I do not think you got a picture of either of those. There happens to be a paper bark maple at work. My fantasy is of some sort of hand-held DNA reader that I can point at a plant to find out what it is. Maybe someday…. Doctor Crusher of Star Trek has that! Now all we have to do is wait for it to become real. It IS real. I saw it on television. Duh! Just like everything on the Internet is real. No, that is VERY different. People can be real idiots on the internet. This turned out to be an excellent trip for texture, especially because of coastal rocks.